The North Bay Downtown Improvement Area is presenting their BANNER AUCTION as the end of the Annual DOWNTOWN Banner Festival. At the core of the Banner Festival you see the DIA’s mission of preserving and developing the heart of North Bay and how celebrating art and culture compliments this mission heavily through the promotion and celebration of beauty and community collaboration. This year’s Banner Auction includes the works of 40 local artists with several banners being created through a collaborative process with Aanmitaagzi at the Big Medicine Studio. 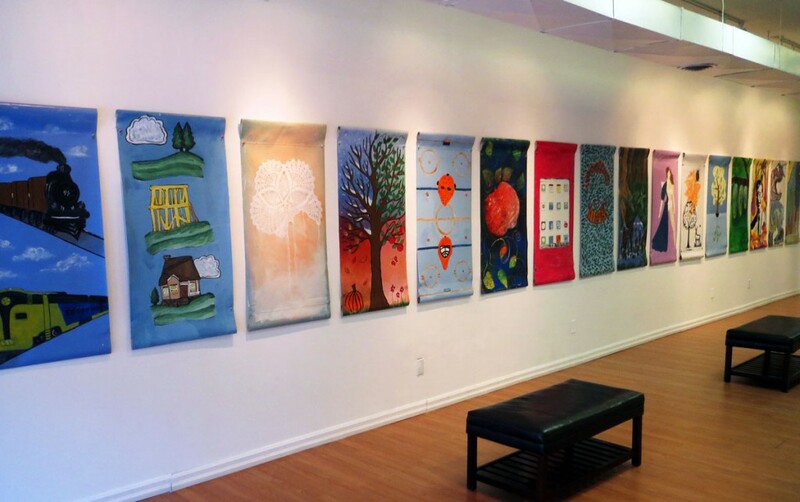 The Banners are on display from October 14th – 23rd at the White Water Gallery old 143 Main St. W. location which is currently available for lease. The DIA is holding a silent auction this year with winners being announced at a WRAP PARTY on October 23rd at 6pm. All are welcome to come and see these works of art and to bid on them. All proceeds go towards the DIA to further their cause of making North Bay a great place to live. See you there!